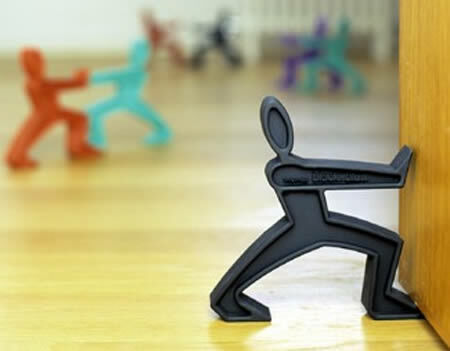 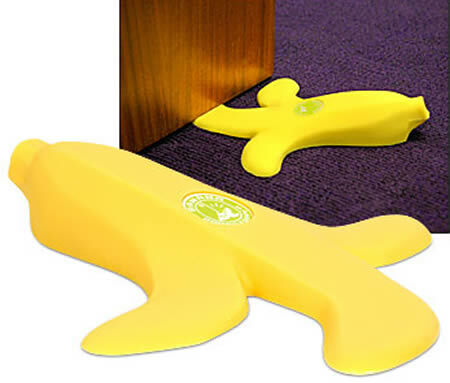 James the Doorman ($20) is the perfect gentleman that will hold the door open for you by wedging his foot under it. 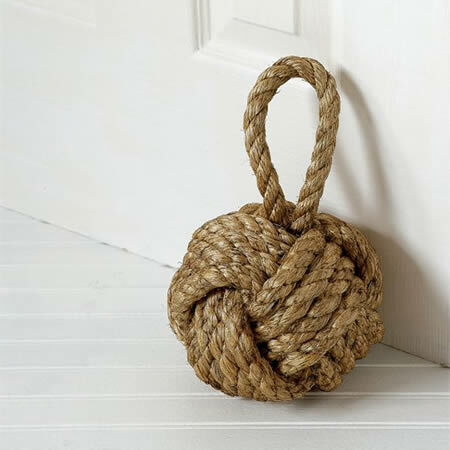 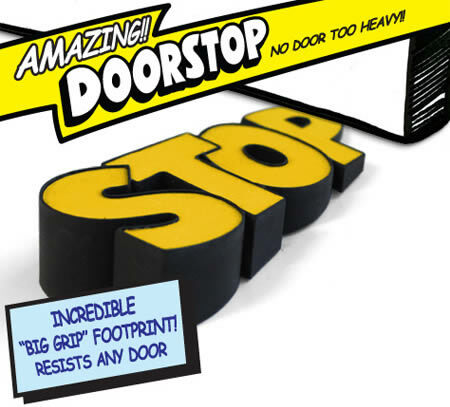 Right from Comic Books comes this fun Stop Doorstop ($13.49) to keep your entrances wide open and your home free from slamming doors. 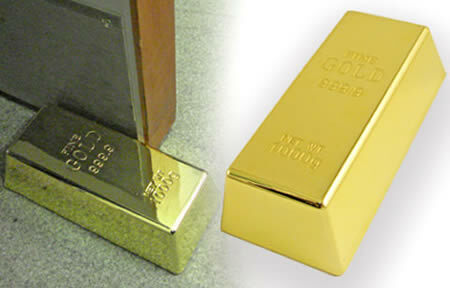 You know you're rich when a Gold Bullion Doorstop ($16.44) holds your door. 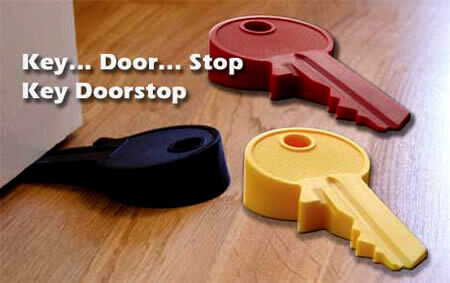 Use a key to open your door and use a Giant Key Doorstop ($29.99) to keep it open. 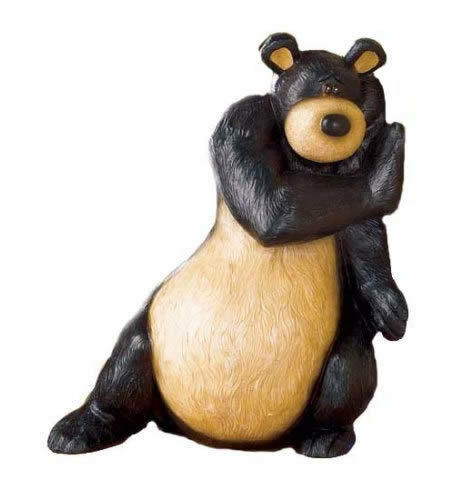 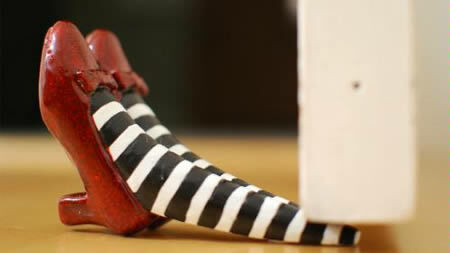 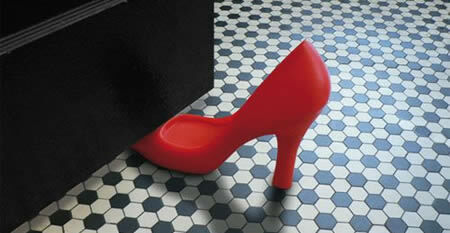 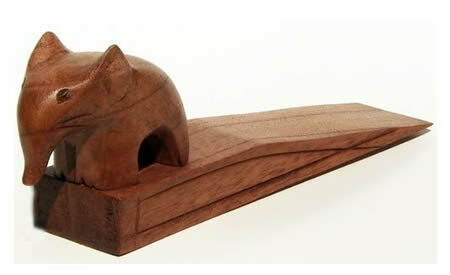 The Wizard Of Oz Doorstop ($19.99) looks just like the Wicked Witch of the East did when Dorothy's house landed on her.